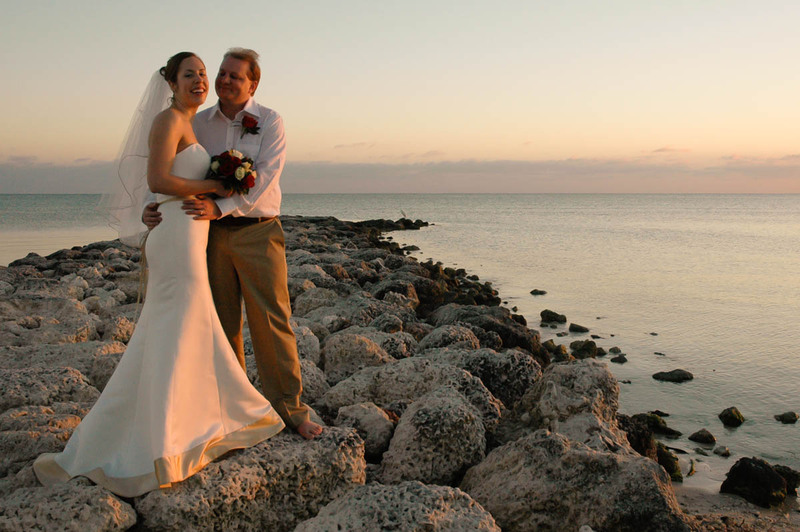 Located on the Atlantic Ocean, Smathers public beach is about 3/4 to 1 mile in length. 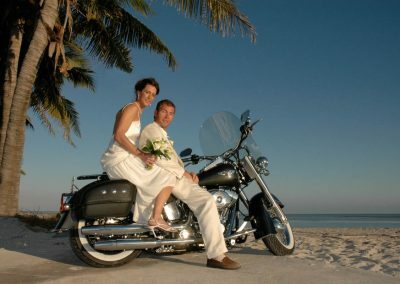 It is the largest beach on the island. 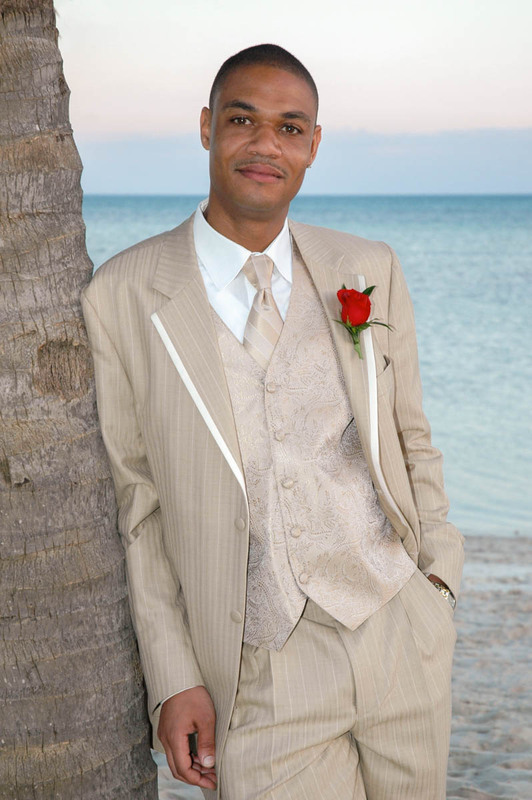 The beach is accessible from a sidewalk which runs along South Roosevelt Boulevard. 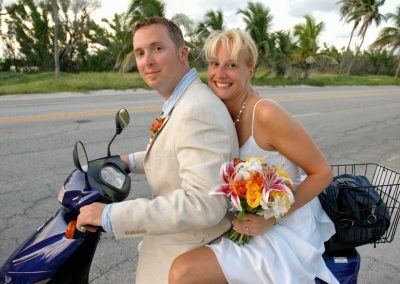 Parking is available on the street. 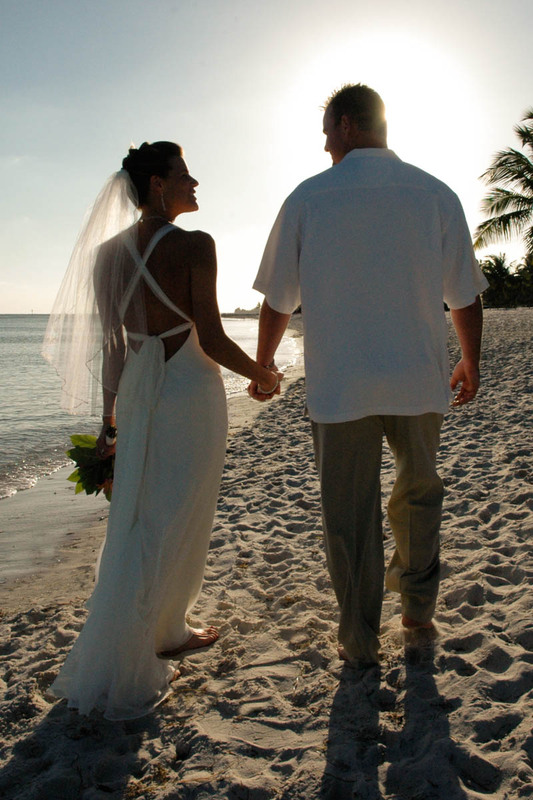 There are short flights of stairs (accesses) about every 100 yards, which lead up to the beach. Each of these accesses has a number. 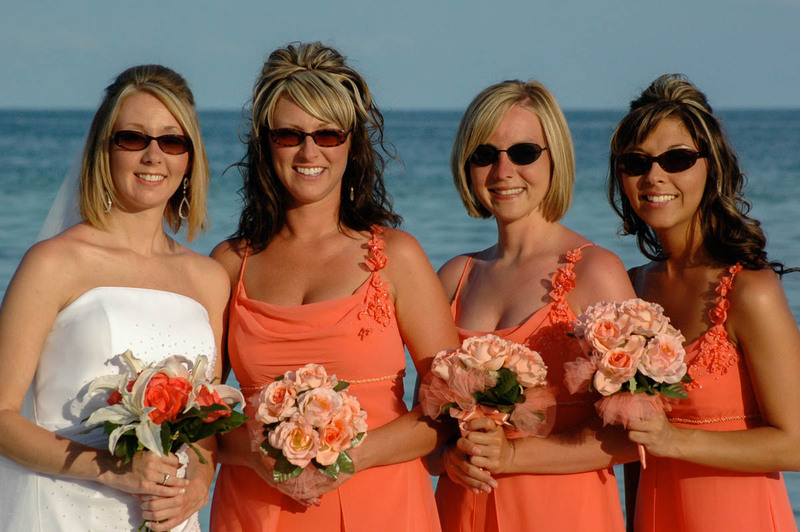 Concession stands and restrooms are located at the west end of the beach. 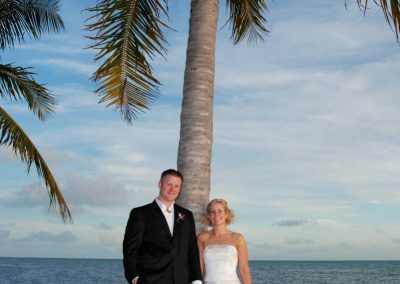 We typically perform our ceremonies at the east end (around access #10), where there are usually less sunbathers but there may be other weddings. 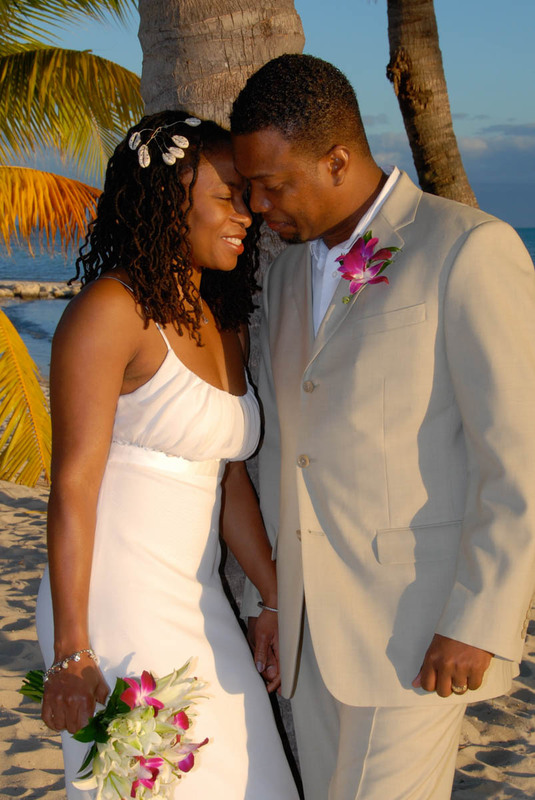 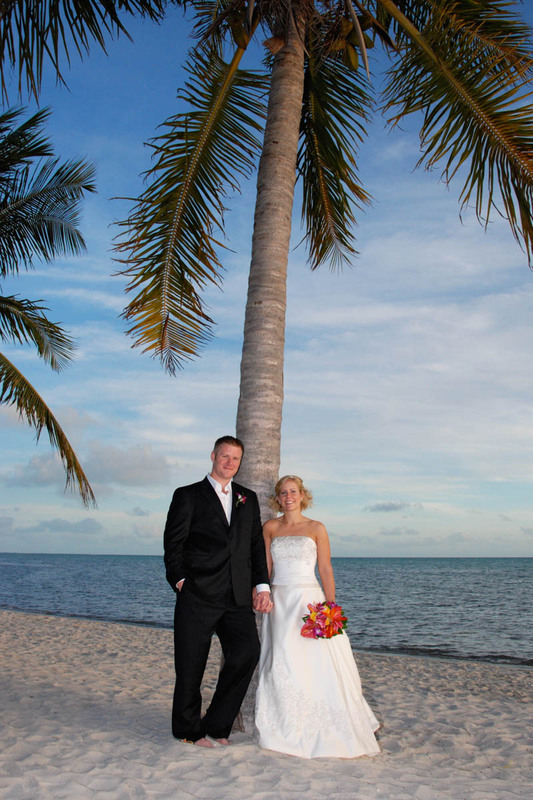 Lots of palm trees and white sand make this a great beach for wedding photographs. 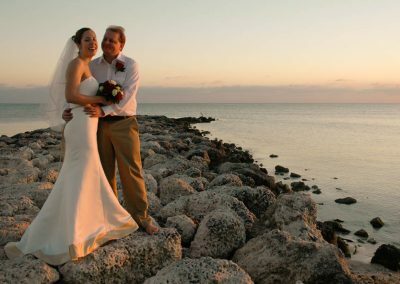 Even though for a large part of the year the sun will set behind the island, there can still be great color and “mood” at sunset. 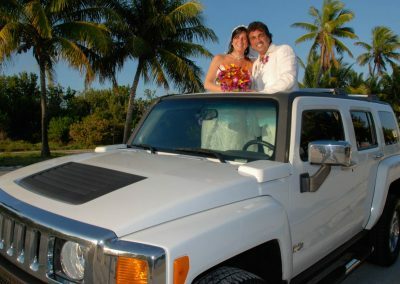 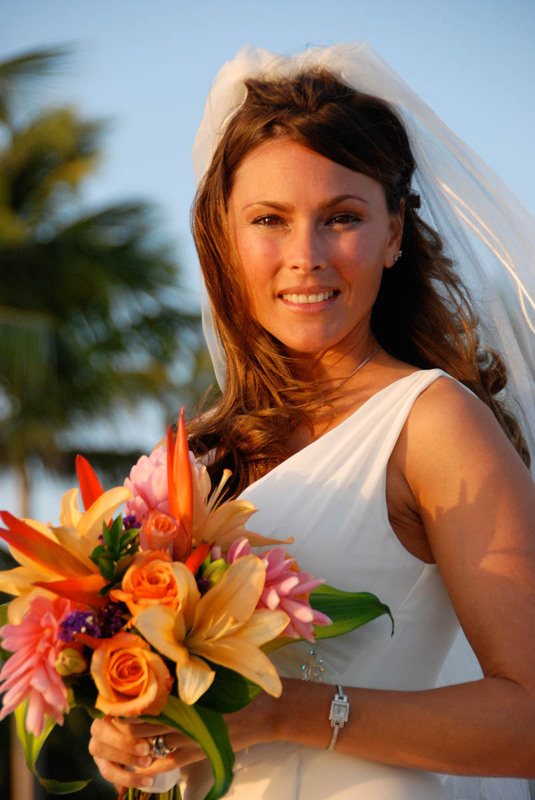 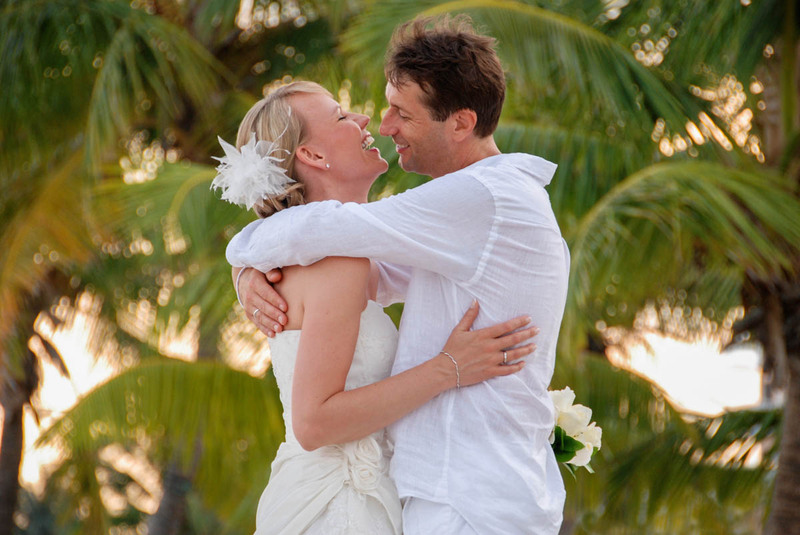 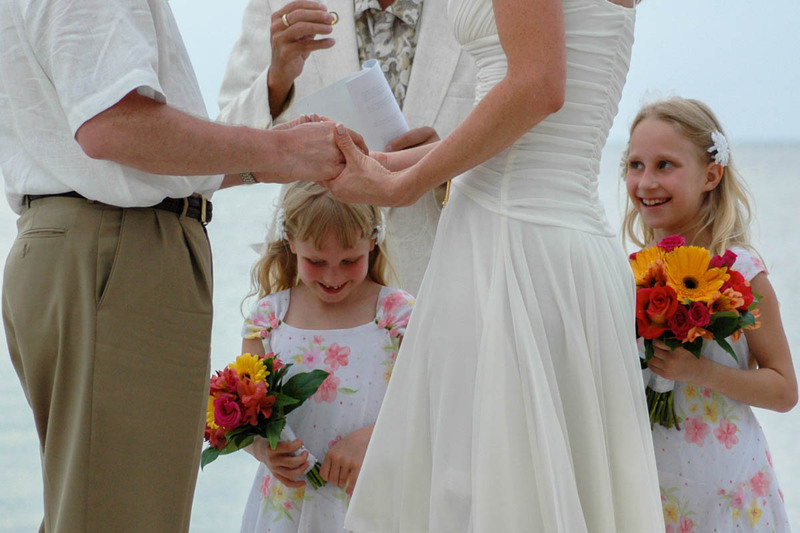 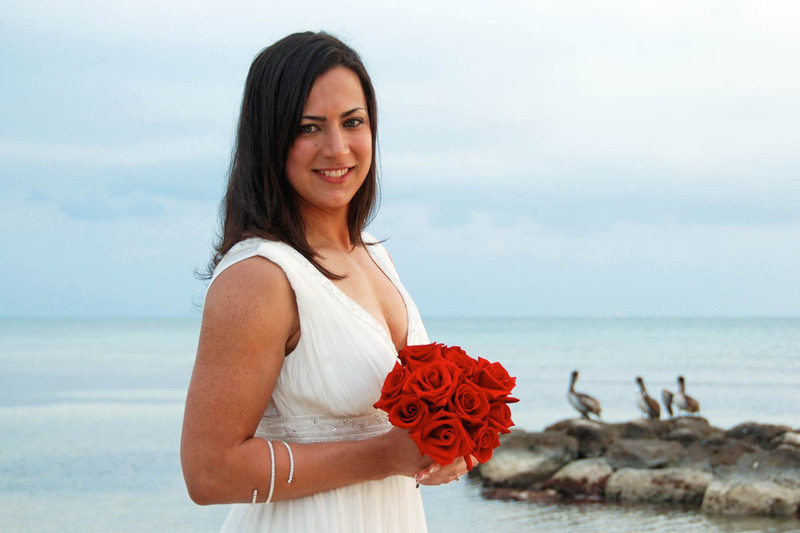 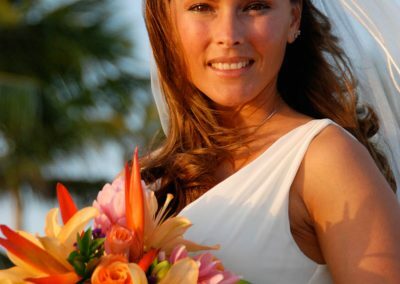 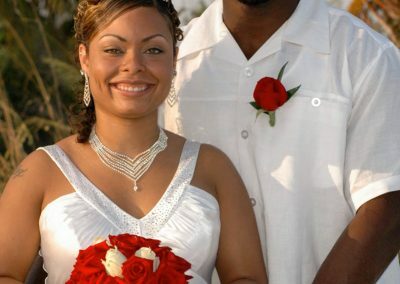 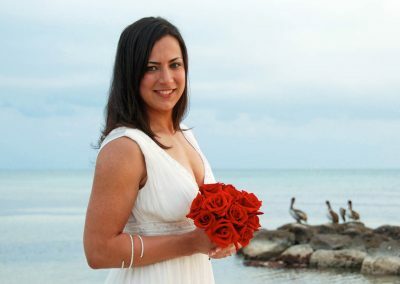 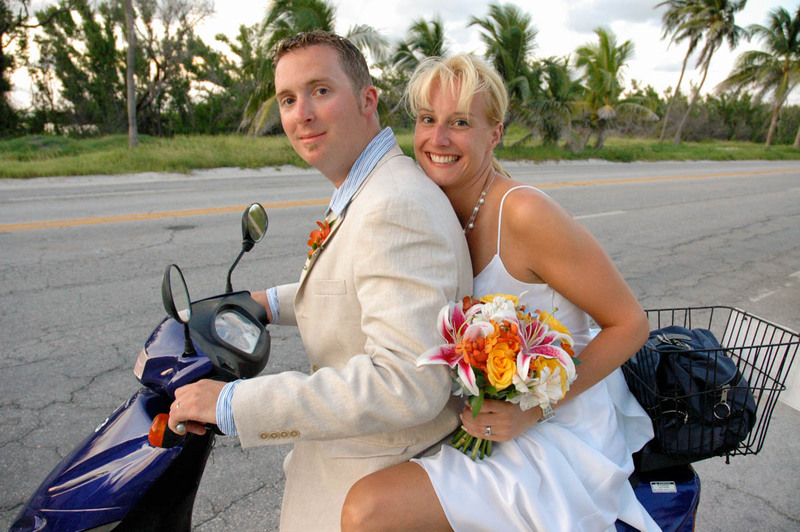 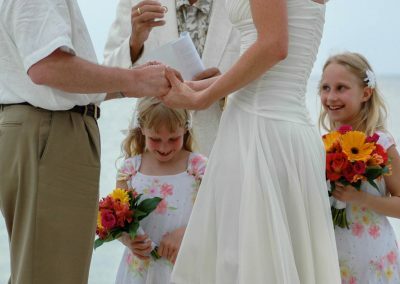 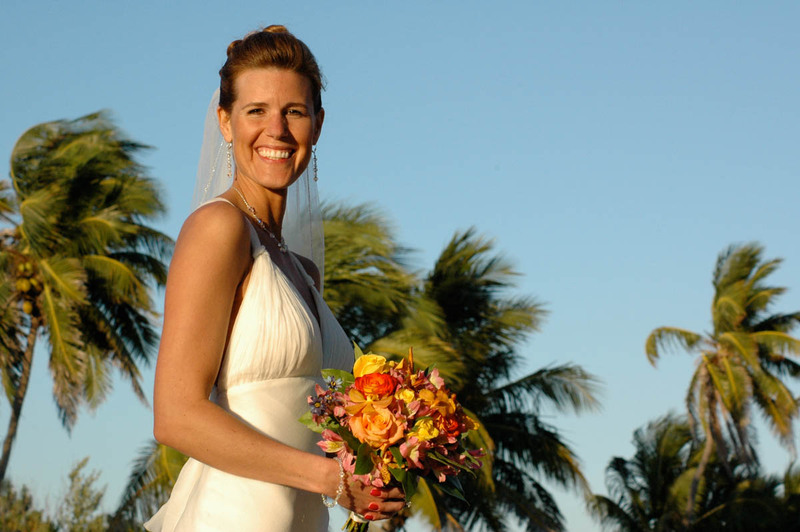 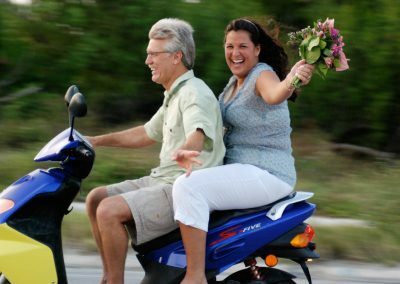 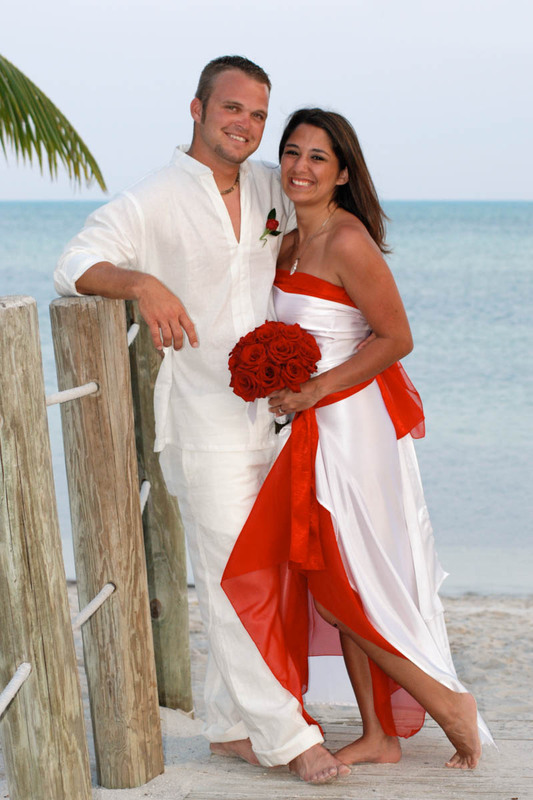 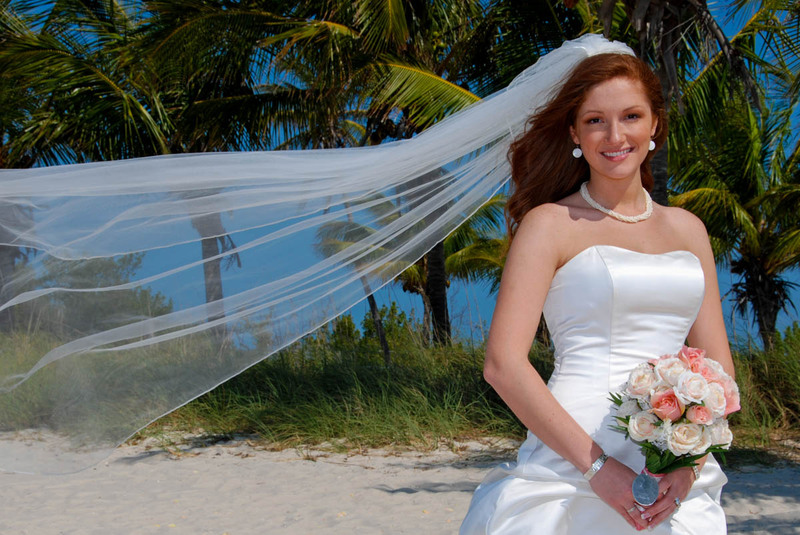 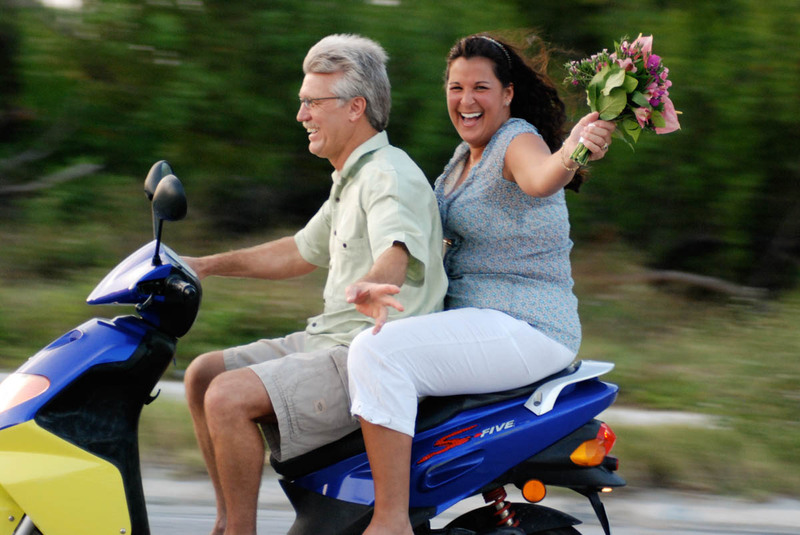 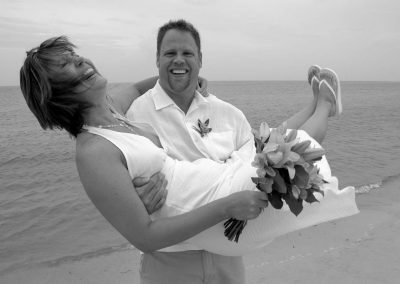 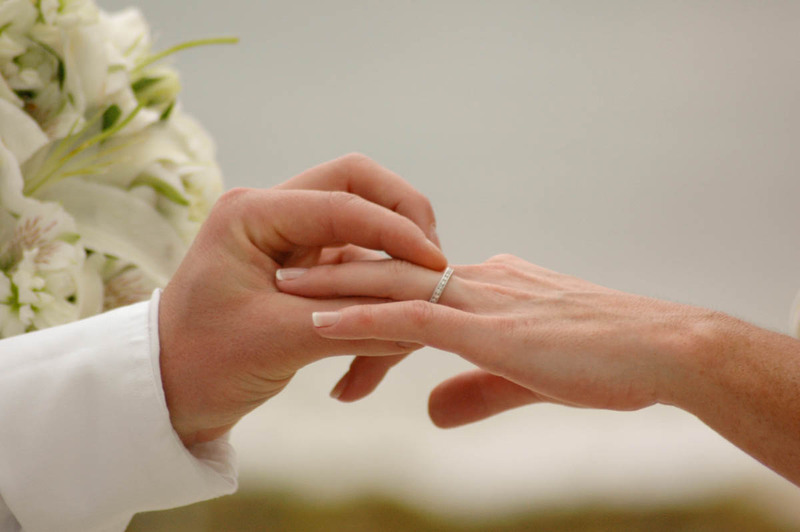 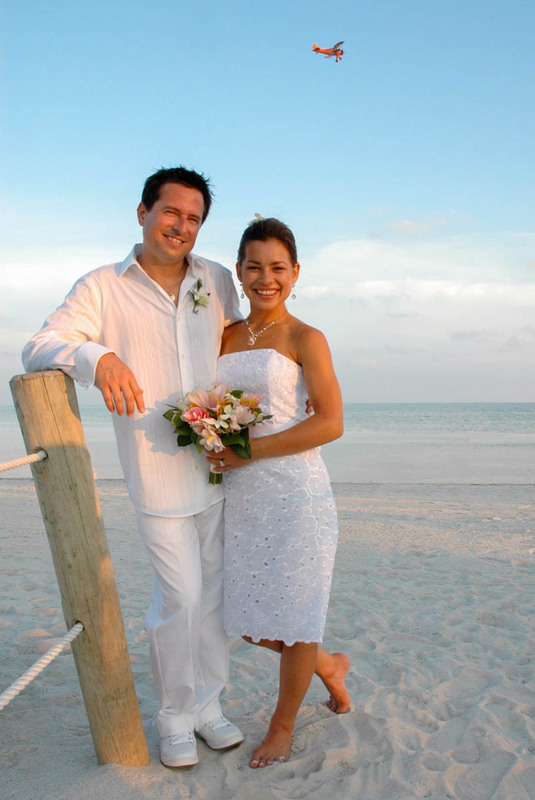 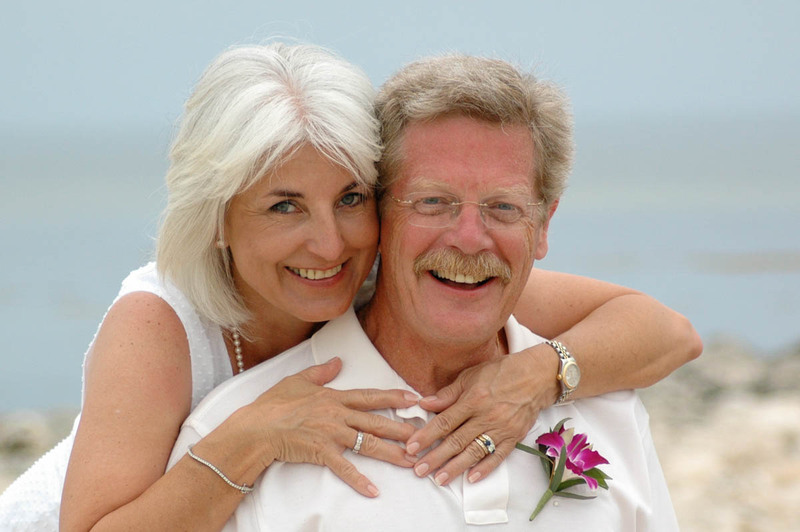 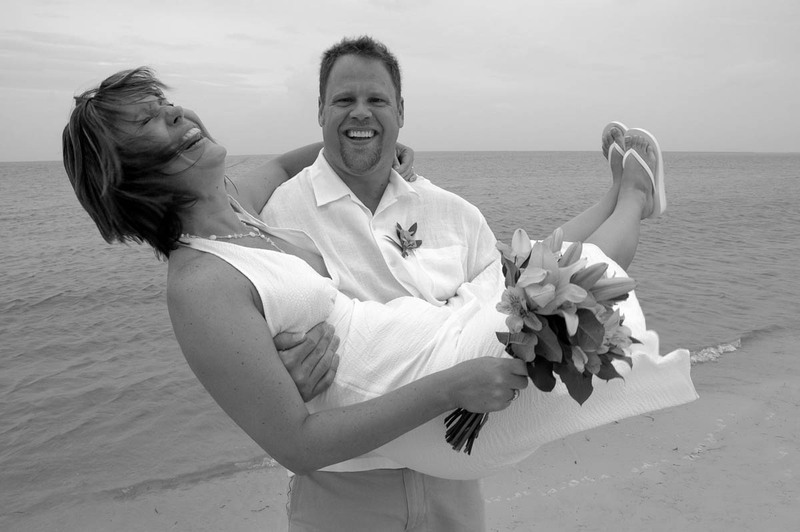 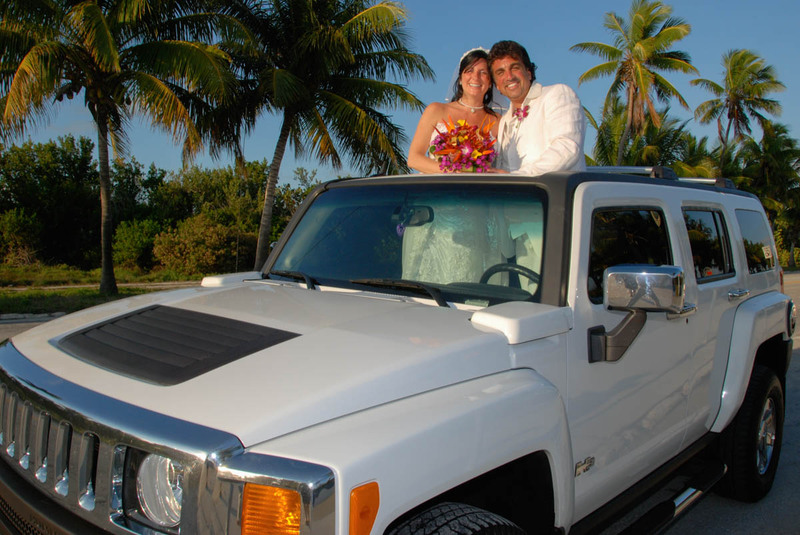 Key West Beach Weddings…The Sand and Surf beach wedding package is our most popular. 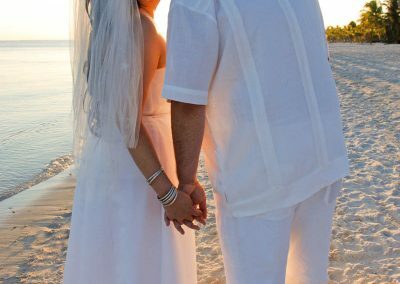 We will spend about an hour together at the beach. Upon arrival, we select a nice location for your ceremony. 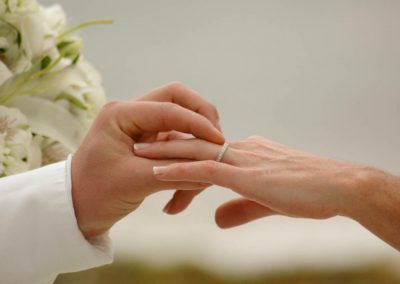 My wedding ceremony is 10-15 minutes. 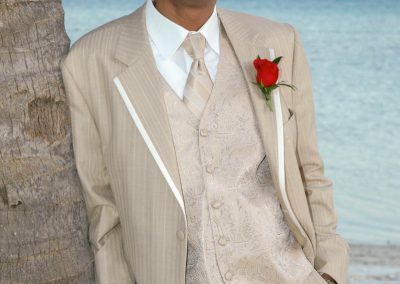 Then Gary will take your posed photos. 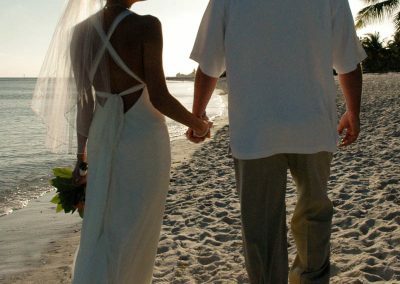 The end of the day, close to sunset is a great time for your beach wedding.